This numbered edition has sold out of the 50 minifigures produced. 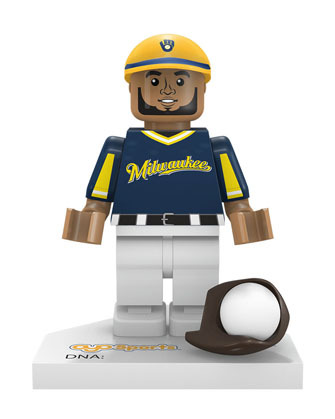 Please check with MLBShop.com or other fine retailers as to their stock. Please see OYOCollector.com for more information. 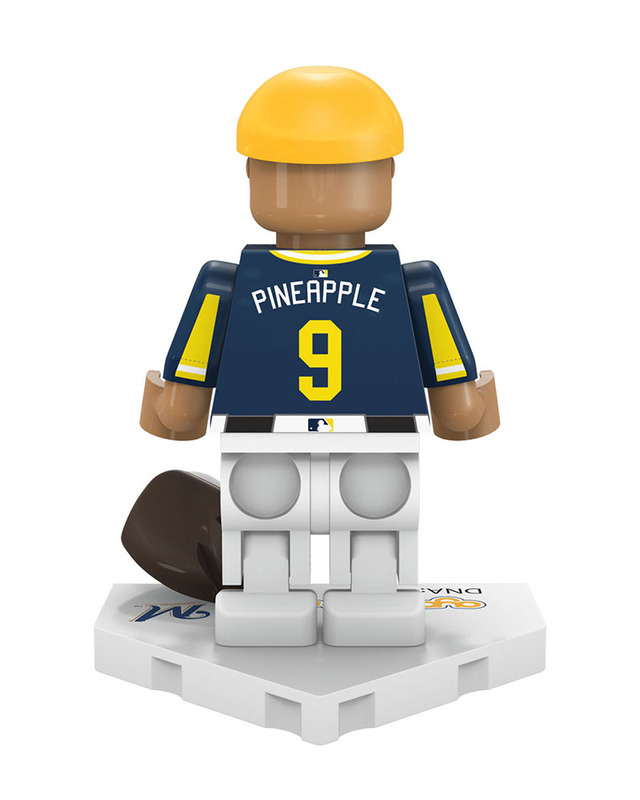 This 2018 Special Players Weekend Edition minifigure is a very limited run of the special uniform and caps that include his "Pineapple" nickname. This special weekend of MLB games is August 24-26 in 2018, and the unique color combinations of uniforms and custom 2 color printed caps are only available for this one weekend. Our minifigures represent these exciting games as complete replicas. But hurry, they are only available for a limited time. 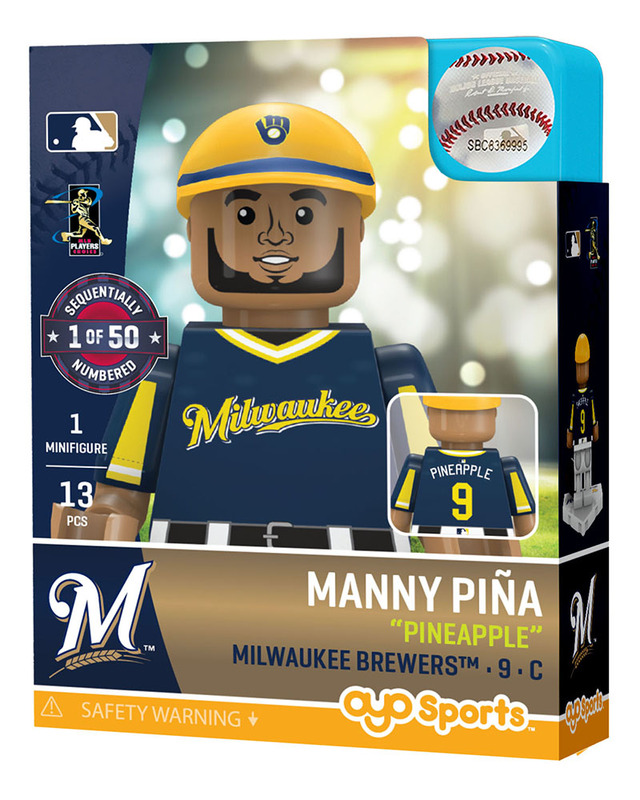 When the sequentially numbered edition of 50 minifigures sells out, they are gone for 2018! This is also Manny's first, or Rookie, OYO minifigure! We enjoy the nickname figures.